PRP for Hair NJ: Restore your hair long-term without chemicals or surgery. Acne Scars Removal NJ: Reduce and get rid of acne scars with our custom tailored treatment. CoolSculpting Fat Reduction NJ: Get rid of stubborn fat, sculpt your body, and fear no mirror! NovaThreads Facial Anti-Aging: Non-surgical facelift, skin tightening and anti-aging with little to no downtime. Profound RF presents a simple, painless, non-surgical solution to reduce or remove cellulite by treating it at the source. PRP FOR HAIR RESTORATION IS THE ANSWER. FINALLY A HAIR LOSS TREATMENT WITHOUT SURGERY! Hair loss is one of the most disappointing cosmetic issues that can happen to both men and women. Hair loss can lead to a drastic deterioration in confidence. For those that are looking to reverse the effects of hair loss, PRP therapy is a useful option. Dr. Rapaport feels this non-invasive procedure is a therapy option that can work on both men and women. PRP therapy was developed due to new medical research and the advancement of technology within the medical community. Scientific studies have recently been published discussing PRP hair restoration technique as an all-natural and non-invasive procedure that has been found to stimulate the growth of hair and to reduce the effects of thinning. One particular study published in the Dermatologic Surgery, Italian physicians successfully used PRP in a clinical trial. 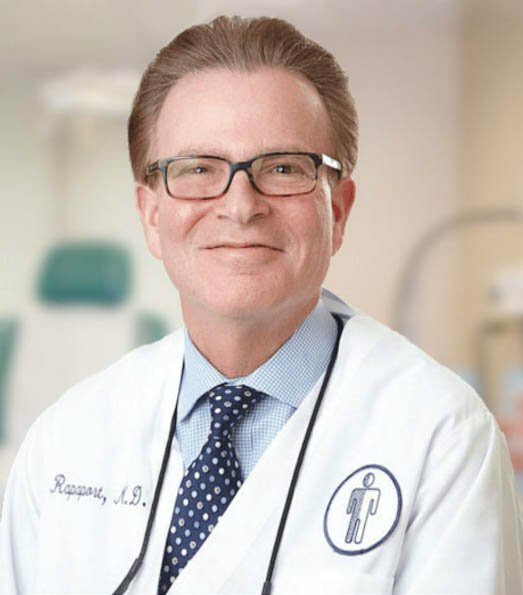 Certified by the American Board of Dermatology, Dr. Rapaport is a Phi Beta Kappa recipient from Emory University and a graduate of the Emory University School of Medicine in Atlanta, Georgia. After internship at Emory, he completed his advanced training residency at Thomas Jefferson University where he served as chief dermatology resident. As one of the leaders and experts in Aesthetic and Medical Dermatology and PRP Treatment for Hair Loss, men and women from all over the U.S. travel to see Dr. Rapaport and his team. They are confident with the knowledge that they’re getting world class consultation and treatment. Dr. Rapaport uses his vast experience & the latest advancements in Medical Aesthetics and PRP to deliver the most dramatic results that surpass his patients expectations. While acne itself is a frustrating condition, it can leave a footprint long after it’s gone in the form of acne scars. While these shallow pits can continue to be an eyesore, Dr. Rapaport offers a variety of acne scar treatment options to help patients find relief. From laser resurfacing to skincare and maintenance, we can help find the perfect noninvasive treatment for you. With our comprehensive, hands-on approach, you can enjoy among the best acne scar treatment in New Jersey. We have over 25 years of experience and are a dedicated acne scar removal center. Dr. Rapaport is a leading PRP physician in the country. PRP hair restoration technique as an all-natural and non-invasive procedure that has been found to stimulate the growth of hair and to reduce the effects of thinning. PRP Therapy works on the basis on utilizing growth factors within the platelets. Seven growth factors exist in normal platelets. These growth factors enter the hair bulb circulation and stimulate the stem cells. This leads to changes in the follicle. Is PRP for All Hairloss Types? PRP does not work for all types of hair loss. It is important that patients are correctly evaluated by a dermatologist or hair expert prior to commencing therapy to determine if they are candidates. Out of all of the products that you can find on the market today regarding hair growth, PRP is probably the most effective. Of course, it is also important to understand that results are going to vary and there is never any guarantee of success. Who is the Best Candidate for PRP? Good candidates for platelet rich plasma (PRP) are men and women who have experienced natural hair thinning or hair loss. The best candidates for PRP treatment are those that do not have a history of Telogen Effluvium or scarring Alopecia. PRP Therapy is a great option for many men and women that are looking to restore their confidence and to regain a lush head of hair. Please consult with an experienced physician regarding your choice.